. . .Other mornings you will sew with me. That will leave the afternoons for your music. I shall, of course, procure a teacher at once for you," she finished decisively, as she arose from her chair. Pollyanna cried out in dismay. I picked this book up because I needed "a book over 100 years old" for my reading challenge this year, and being written in 1913 (making it currently 102 years old) it just fit the bill. 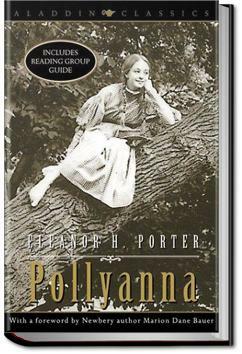 A classics girl-novel by Eleanor H. Porter (1868-1920) from 1913.